Suppose you are planning to improve your Roth IRA rates by investing your retirement money inside a tax-deferred annuity account and you’ve listed down your choice and narrowed it down to four products categorized in two: two with fixed annuity rates and two index annuities. Each of the annuities is coupled with the same initial rate of interest, similar minimum guarantee rate, as well as equal surrender charge. They also come with the same withdrawal policies as the other within the same category. Thus, they look as though they are virtually one and the same, however will they provide similar renewal rates once the initial term of the rates is up in one year or so? It’s uncertain. This article will tell you why. Rules necessitate that annuity firms invest most of their funds in bonds. Thus, it is expected that they won’t have much investments in real estate, stocks, or other assets. 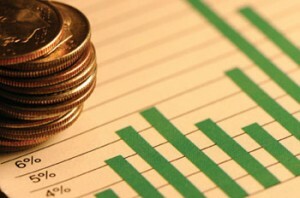 Nevertheless, the companies are given the freedom and flexibility on the average maturity and quality of those bonds. As a result, they can modify the risk, yield, and annuity rate. To ensure that you are getting the best IRA interest rates, you should know that the higher the rating of the bond, the lower the yield will be. You will receive less return because there is lower chance that the bond issuer will default. Consequently, the administrators or managers of the fixed annuity may restrict their purchase into high-grade bonds only and accept lower annuities rates of return. On the other hand, another annuity company may be willing to face more risk to achieve higher renewal yields than its closest competitors. In general, the longer the term of the bond’s maturity, the larger the yield is. The rate of the 1st annuity plunged because the bonds coupled to it are approaching maturity, and the funds might be needed to be reinvested at the prevailing, lower rates. Conversely, the 2nd annuity’s administrators have all the time they need – an additional 10 years, actually. Thus, they do not worry about and feel the urgency of reinvesting the funds right away. Since the 1st annuity comes with a number of bonds that are expected to mature soon, it will enclose cash that can be immediately reinvested at higher rates. On the other hand, the 2nd annuity will keep on paying similar rate depending on the longer term portfolio. In addition, if it prohibits itself from selling the long-term bonds to reinvest at much higher interest rates, it might experience a financial loss if the bonds instantly drop in value. These annuities furnish the possibility for you to take part in the growth of an index, like the S&P500. The managers in these funds need to take the issues into consideration that are different from fixed annuities when they compute the renewal rates. Spread – The amount reduced from the index’s growth to determine the interest for the index period. If you still find yourself short in the Annuity rates you get from your account, you should learn about your options to sell your annuity or apply for annuity loans. 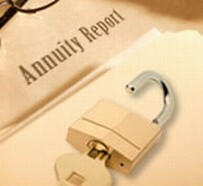 It’s beneficial for you to understand how beneficial an annuity is.